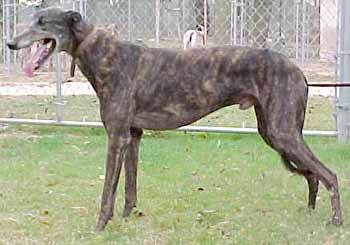 Al, aka QV Luxor, is a dark brindle male born July 14, 1997 and his brother is Dave. Al and Dave both raced here in Texas and at Mobile, Alabama. 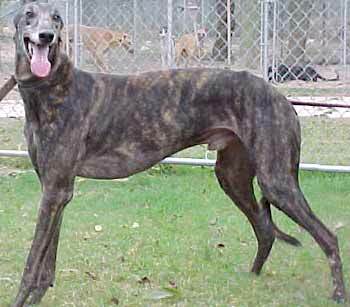 Al is a typical male greyhound - sweet and loving, and just looking for that forever home! Al is very playful and cat trainable. He loves to play with his foster sister and cuddle with his foster mom.